The reality of the world that we live in is that we are all judged by how we look. You really do only have one chance at making a first impression, so why not insure that that is a positive one? So let’s talk about dressing well and putting together a cohesive and clean look. The first step in re-doing a wardrobe is to take an inventory of what you already have in your closet. Go through your clothing and take a good, hard look at it. Put aside anything that fits you well and is in good condition. 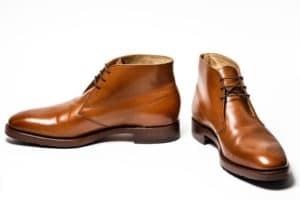 Is there anything that you have not worn in over two or three years? Is anything torn, ripped, stained or doesn’t fit? If you answered yes to any of these things, put the clothing in a bag and give it to a charity or the homeless. You don’t need it. The second step is to take note of the influences in your wardrobe. What is your physical shape, where you live and what is your style? Are you tall? Short? Dad bod? Do you live in a winter country? Near the beach ? City centre? Rural area? (Do you need a parka? Or shorts for every day?) What do you like to wear? What makes you happy? You need to blend these three influences together and I am going to explain how. The next step is to then sit down and set a monthly budget of what you can spend. A reasonable amount is between 100 and 250 a month on clothing, depending on your income. If you buy good quality pieces and treat them well, you’ll have an extraordinary wardrobe within the year. Remember to shop at all stores, not just those with recognized labels. Don’t think that all your clothing has to be new. There are wonderful deals to be had in thrift stores, second-hand stores and large department stores. I also have a firm hard rule, I rarely buy anything that is not on sale. It is much easier in France to shop for a deal, as the stores are regulated to only have sales twice a year (July/August and January/February). I only buy clothing in France during this time period. In North America, there is a great little trick that the merchandising industry does not want you to know. Most stores adhere to a 12 week rule for clothing. It is full price for the first four to six weeks, then beginning every week or two following, the price is reduced as much as 20% until it is sold. This is so they do not own deadstock. Remember this when you go shopping. See it, go back in three weeks to see if the price has dropped. Large stores like Lewis, G-Star, the GAP, Banana Republic, Winners all have this rule. It’s a proportional look, which means that the width of your shoulders is about as wide as your hips. You can wear pretty much everything but avoid double-breasted jackets and tops with graphics that are also rectangular; they will just make you look boxy. The other key here is to wear fitted clothing. Not tight clothing. Smaller on top and wider at the hip. Add a little bit of shoulder padding so they’re built up and resembles a rectangular body type. Men with wide hips should avoid skinny jeans as they can emphasize your waistline. A jacket is your new best friend. It’s the opposite of the triangular body type. It’s when your shoulders are wider than your bottom section. Wear Breton striped tees (a la Jean Paul Gauthier or Saint James). These are classic styles and ideal for a man with this shape, especially if the stripes focus around the stomach rather than the chest. I f you have broader shoulders and a narrower waist, avoid skinny jeans or colourful belts as they exaggerate your smaller centre. It is wide in the shoulders and then not super slim but slightly slimmer on the hips. It’s somewhere in between the rectangular and inverted triangle. You can wear almost anything but you probably already know this. 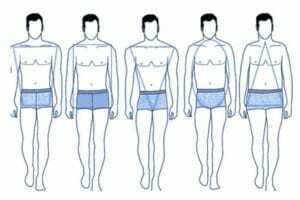 It’s men who have a stronger or bigger mid-section. The goal for you is to focus attention away from your mid-section, which you can do by wearing a vest. It helps you slim down your mid-section and emphasize your overall dapperness. A jacket also helps because it’s more structured. Wear vertical stripes and pinstripes to lengthen the body. Never horizontal stripes not colourful belts or tops as they draw attention to your waistline. 1.Single-breasted suit in black, then navy, then blue and finally grey. 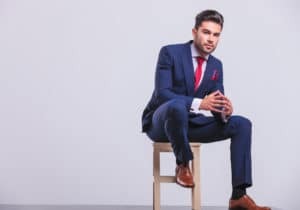 A great place to buy suits is the store Matinique. 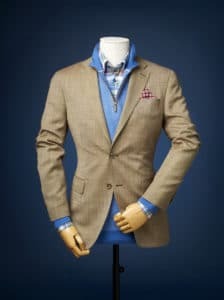 They sell suits as separates, meaning you can buy pants and jacket in different sizes, unlike many suit stores. Reasonably priced and available around the world. 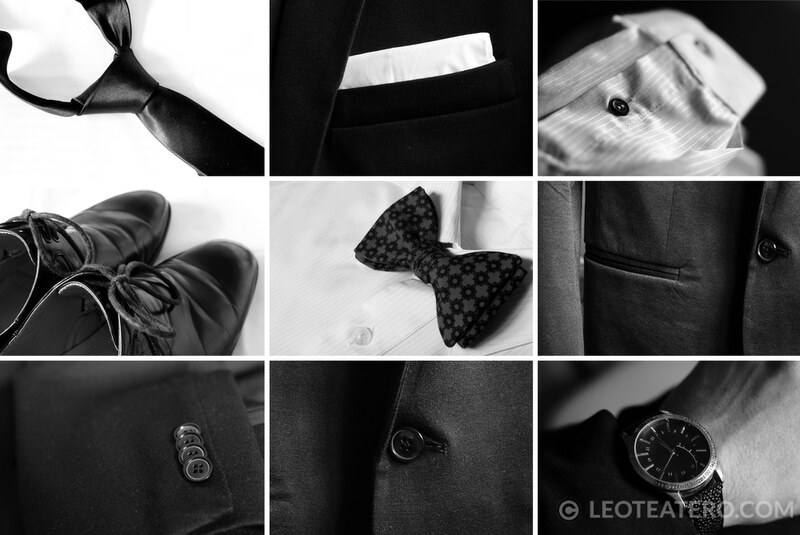 Once you have four suits, then next suit to buy would be a tuxedo. 2. 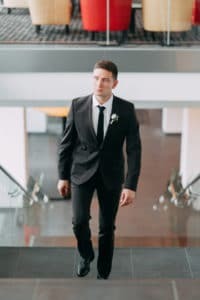 Dress Pants – black and blue cigarette pants (slender pants with no pleats) and grey flannel trousers. 3. 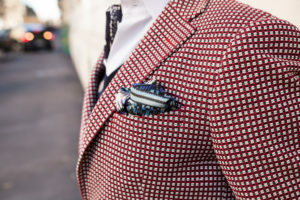 Dinner jackets – traditional, sports jacket and outrageous or fun ones. 4. Casual pants – chinos (in blue or taupe) and jeans (black, blue and faded). Yes, distressed jeans are fine too ! 5. Shirts – solid colours of white, blue, black. Some with cufflinks, without cufflinks, short sleeve, sporty and fun. A great shirt company that delivers around the world is T.M. Lewin, from London. 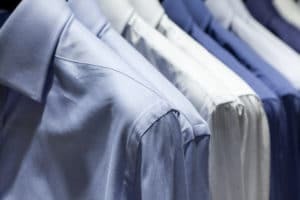 You can generally get four dress shirts for just over 100£. 6. Sweaters – black, navy and fun, V-necks are generally good for most people. 7. 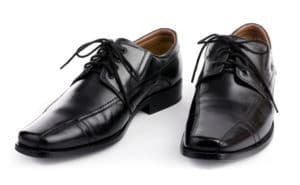 Shoes – black lace ups or loafers, brown Chelsea boots or brogues, fun shoes and classic trainers. 8. T-Shirts – in solid colours of black, white, grey and your best colour. Buy your T-shirts when they are on sale at the GAP, it should cost about $5 per tee. 9. Shorts – cut just above the knee, slightly higher if you are shorter, in off-white, blue and a fun colour for the summer. 10. Pajamas and a good comfortable robe. 11. Belts – black and chocolate. Good quality belts will last a lifetime. I have two Gucci belts that are over 30 years old and still in excellent condition. 12. 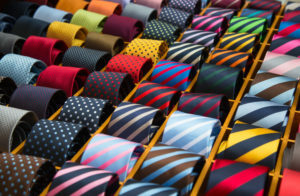 Ties & bowties – try to avoid loud printed ties. Go for solids or large angle stripes, like college ties. T.M. Lewin also sells great ties, 3 for about 66£. You also need pocket squares to go with these ties. They should be the same colours & exact opposite colour of the ties (check a colour wheel when in doubt). 13. One nice piece of jewelry, be it a watch, ring or bracelet. 14. Scarves – silk (light), linen (warm) and cotton or wool (warmest). 15. Vests, especially for those with a bigger midsection. 17. Good leather gloves. ALways buy them at the end of the winter season when they are priced down. 18. Umbrella – long with a wooden handle. 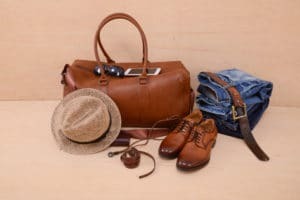 19.Weekend leather bag – buy a good piece. I have leather luggage that is 25 years old and in still great working condition. 20. Great Outerwear, depending on where you like a great parka or a puffer jacket, a pea coat sometimes called a mariner (it’s double breasted with a large collar), a light trench coat, a jean-jacket and a bomber jacket (leather aviator). Remember you can find many of these things at thrift stores or second hand venues. Cargo pants or cargo shorts, unless you are a handyman these pants and shorts are useless, too baggy and rarely look good on anyone. Crocs, these fashion abominations are fashions don’ts! Just say no. 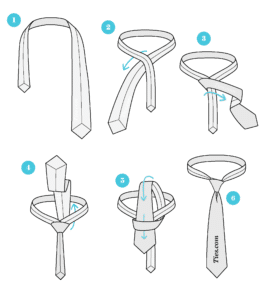 Silly Ties – If you are feeling humorous, tell us a joke, don’t wear one. Short Shorts – they were fashionable in the 70s and should have been left there along with any crocheted clothing that is not a sweater, socks or scarf! Flip-flops – nothing is worse that being hearing someone walking in flip-flops, except when that person also needs a pedicure. Unless you the beach or pool they should be banned everywhere else. Buy sandals or put on light sneakers. 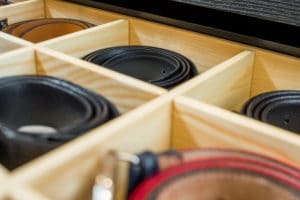 Building a solid functional and fashionable wardrobe is easy. Remember, evaluate, budget, buy appropriately and get a tailor to fit things to you. You’ll feel and look better.